From left to right: Dr. Yu Chen, Associate Professor, Fischell Department of Bioengineering, University of Maryland College Park, with students Dhruvesh Amin, Jinan Murhaf Oubaid, and Christopher Chester. The University of Maryland Strategic Partnership: MPowering the State has gained significant momentum, delivering enhanced economic, academic, and research benefits for the people of Maryland and beyond. This strategic partnership is a structured research and academic collaboration between the University of Maryland, Baltimore (UMB) and the University of Maryland, College Park (UMCP). Leveraging the sizeable strengths and complementary missions of both institutions, MPower has created many unique educational opportunities for students at both universities. The University of Maryland A. James Clark School of Engineering’s Robert E. Fischell Department of Bioengineering, in collaboration with the University of Maryland School of Medicine (UMSOM), has implemented several new initiatives to strengthen the pathways to professional degrees and address the needs of the bioengineering workforce. 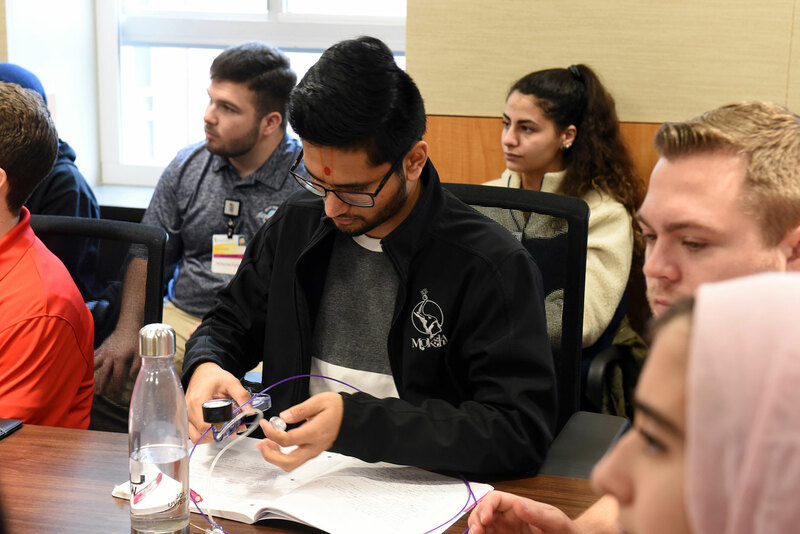 One of these initiatives is a three-week clinical experience program offered to UMCP junior and senior undergraduate bioengineering students held at the University of Maryland Medical Center (UMMC), where they can learn directly from UMSOM clinicians. The course has proved so attractive that it has “sold out” immediately on the first day of registration over the past two years. Along with other UMCP bioengineering faculty, Yu Chen, PhD, Associate Professor, Fischell Department of Bioengineering at the UMCP and Program Director of this three-credit course, selected several clinical areas for study as well as UMSOM clinicians and engineering faculty instructors. 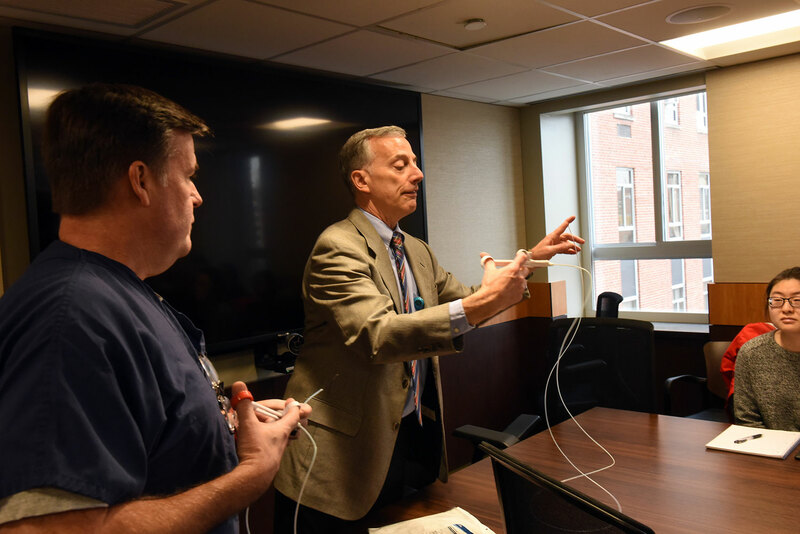 In the first two weeks of the course, students benefited from daily lectures by UMSOM faculty on a wide selection of clinical topics, including neurology, pediatrics, pathology, radiology, and surgery. 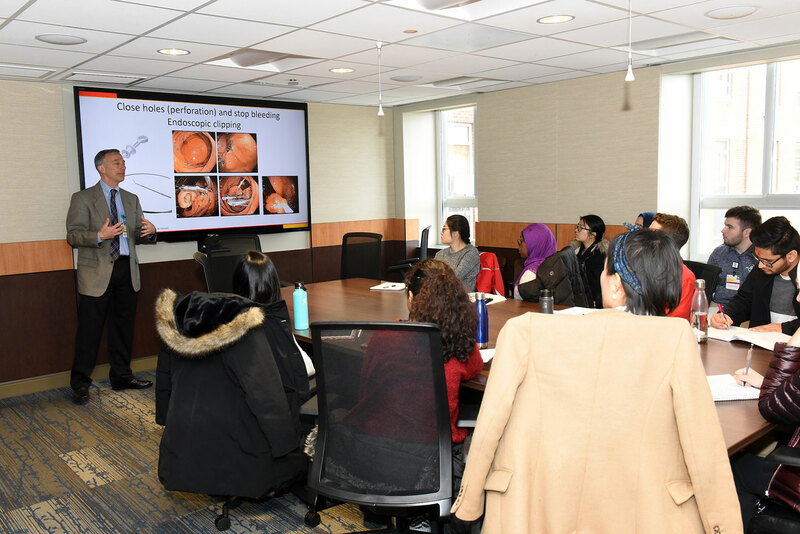 A bioengineering lecture from UMCP faculty followed, which expanded on the frequently used technologies and biomedical devices in these respective clinical areas. 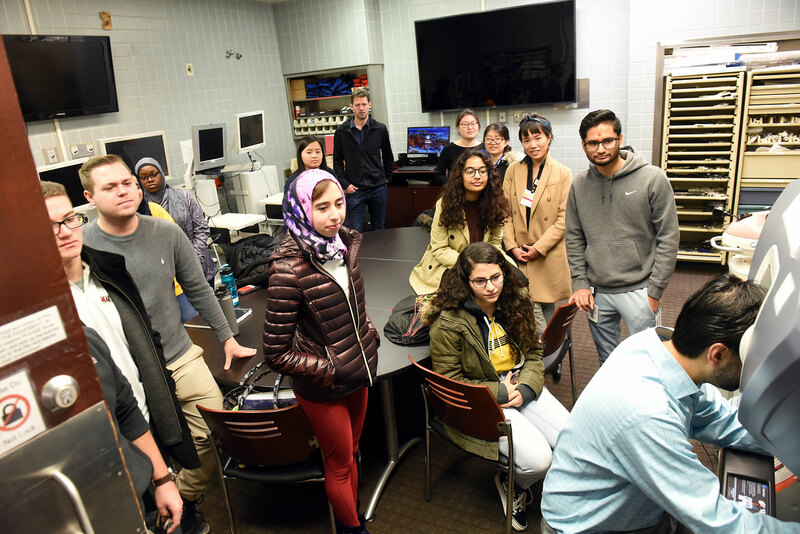 The students also toured labs and the MASTRI Center in UMMC, observed clinical environments and surgical procedures, and held discussion and brainstorming sessions at the end of each class. 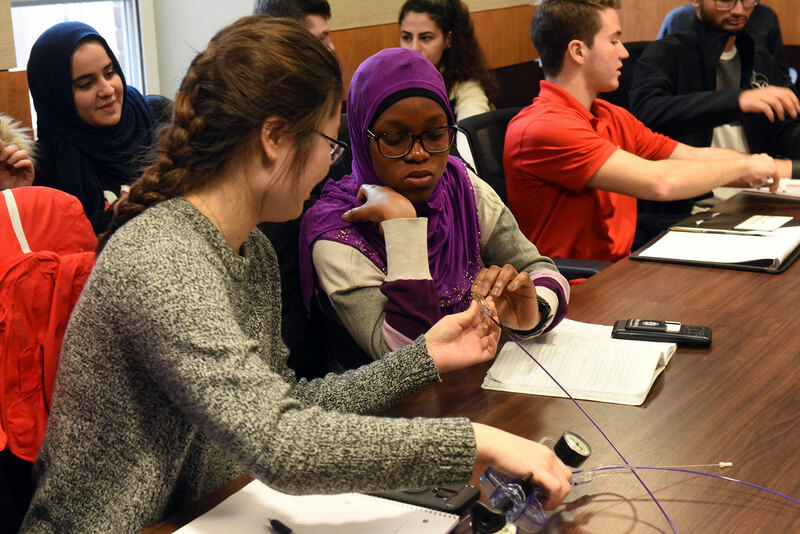 As a final deliverable of the course, students were asked to prepare a problem statement describing an opportunity to use engineering to improve a clinical specialty of their choice. 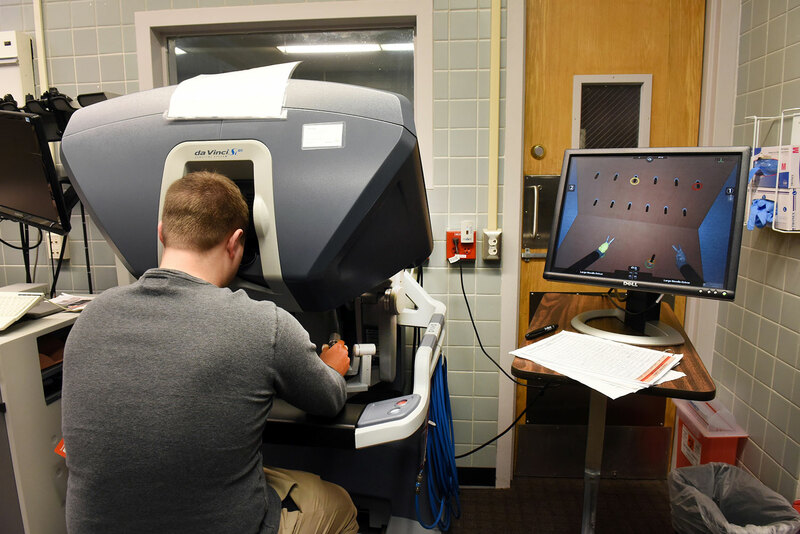 The Fischell Department of Bioengineering receives funding support through the University of Maryland Strategic Partnership: MPowering the State. 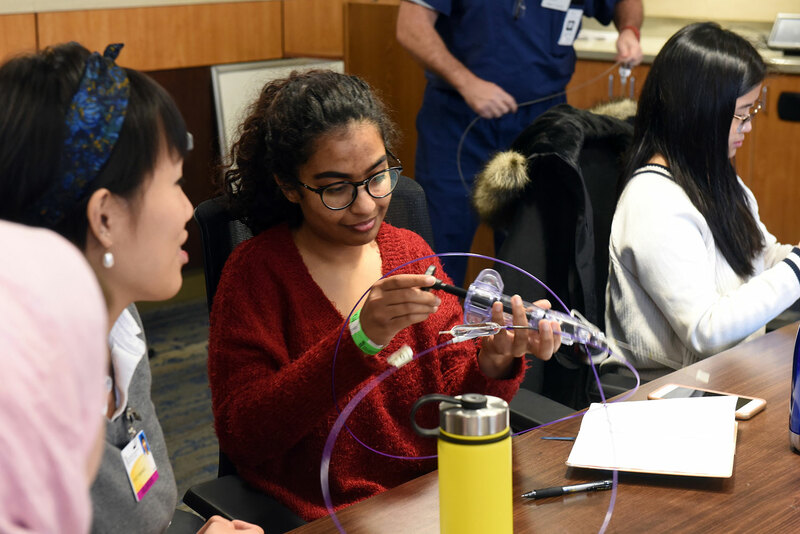 This dynamic partnership continues to bring together engineers, clinicians, scientists, and students working to design and build biomedical devices that address many of today’s most pressing human health challenges. 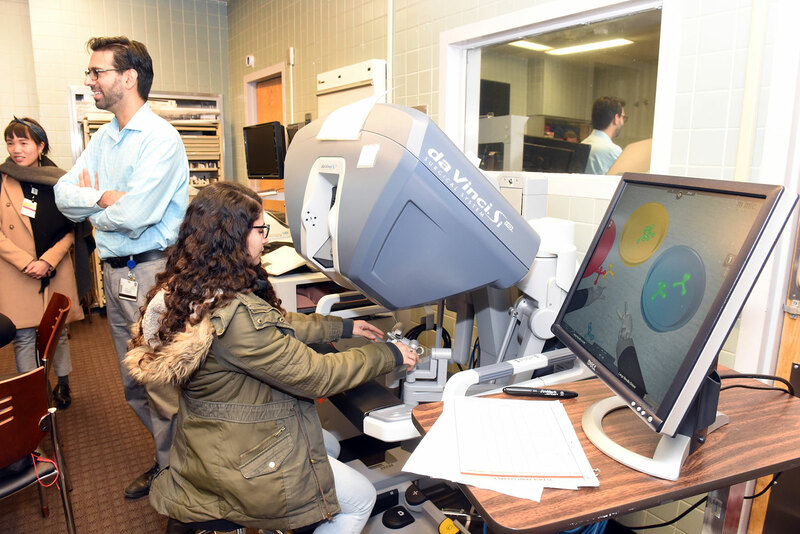 “The outstanding strengths in engineering at UMCP combined with the state-of the art care and services at UMSOM and UMMC, creates incredible opportunities for collaboration, innovation, and discovery,” said Dr. Chen. Located just a few miles from Washington, D.C., the University of Maryland A. James Clark School of Engineering is at the center of a constellation of high-tech companies and federal laboratories, offering students and faculty access to unique professional advancement opportunities with industry and government partners. In 2005, the Clark School of Engineering benefactor Robert E. Fischell and his family donated $31 million to establish the Fischell Department of Bioengineering and the Robert E. Fischell Institute for Biomedical Devices. 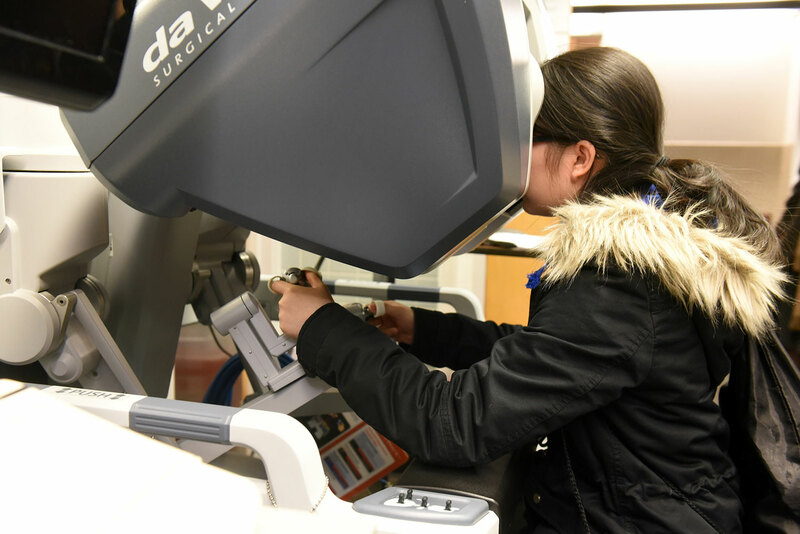 The Fischell Department of Bioengineering is a forward-thinking academic organization dedicated to utilizing engineering and scientific knowledge and methods to assist the citizens of Maryland and the nation. The department develops biologically based knowledge and products to promote ecological, human, and animal health, to improve the quality of life while maintaining a healthy environment. The University of Maryland Strategic Partnership: MPowering the State is a collaboration between the state of Maryland’s two most powerful public research institutions: the University of Maryland, Baltimore (UMB) and the University of Maryland, College Park (UMCP). MPower combines the extraordinary resources of the state’s largest public research engines to strengthen and serve the state of Maryland and its citizens. The University of Maryland Strategic Partnership Act of 2016 strengthened and formalized the structured relationship between UMB and the UMCP, which began in 2012. The law deepens the alliance to pursue even greater transformative change and impact, far surpassing what each institution could do independent of each other. Targeted biopsy using new fusion technology that combines magnetic resonance imaging (MRI) with ultrasound is more effective than standard biopsy in detecting high-risk prostate cancer, according to a large-scale study published today in JAMA. More than 1,000 men participated in the research at the National Institutes of Health (NIH) over a seven-year period.